Update 11:14 CST: According to The Verge, there’s a hidden way to enable this dark theme (possibly only if using the Pixel Launcher). We’re not sure how this went largely unnoticed, but the original article is left below. Did you hear? Verizon opened up their stores yesterday to live demos of the new Google Pixel 2 and Google Pixel 2 XL. While most people were spending their times getting a feel for the phone (because that’s what you’re supposed to do with these kinds of promotions), we at XDA have been digging into the phone to bring you the latest apps and uncover the latest features. 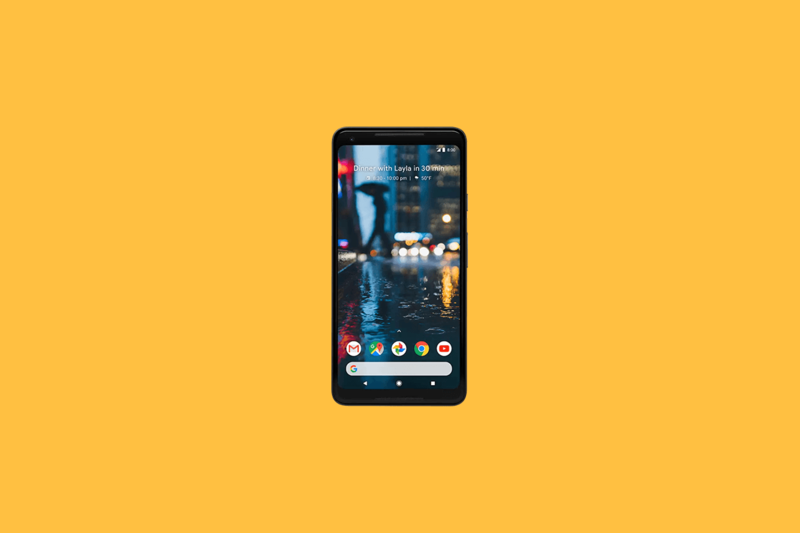 You can grab the latest Pixel Launcher and Google Camera app that we extracted, but there are a couple of other pre-installed apps that you can’t easily install. One such app is actually quite interesting as it is a hidden dark theme for the SystemUI. 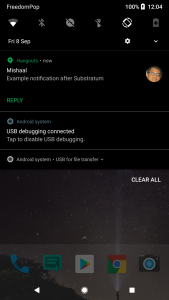 Unfortunately, it looks like this dark theme is disabled with no way to access it in the Pixel 2 (at least, not without ADB which I can’t test until I get my review model). 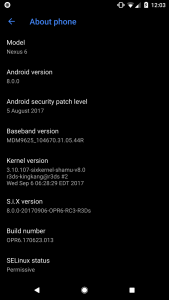 The app is simply named “Dark” and its package name is “com.android.systemui.theme.dark.” It is stored in /vendor/overlay/SysuiDarkTheme/SysuiDarkThemeOverlay.apk. 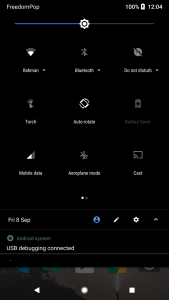 As we discovered soon after the full source code of Android 8.0 Oreo was released, Google has introduced a command line interface for managing themes. 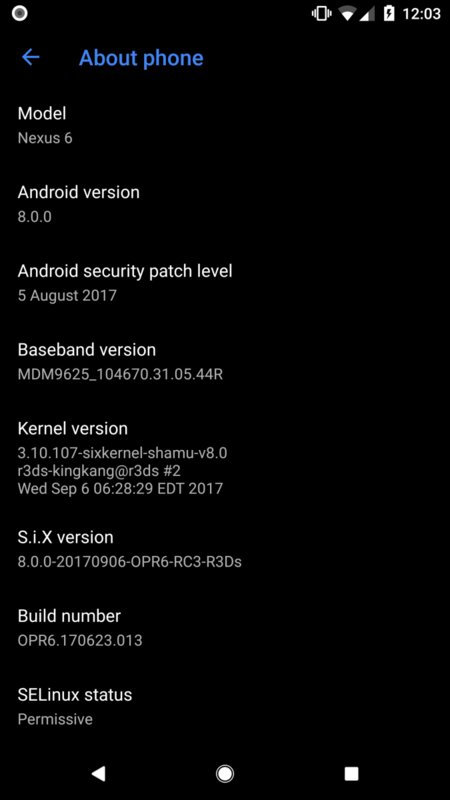 This is actually what makes rootless Substratum for Android Oreo possible and is currently the best way anyone running Android Oreo can install a dark theme onto their device. Using our knowledge of OMS (Overlay Manager Service—Sony’s theme framework which Google added full support for in Android 8.0), we quickly made the connection that this pre-installed “Dark” system APK is actually an OMS theme for SystemUI. The installation location is a clue as it is stored in the directory that Google instructs vendors to store any themes that they want to be pre-installed. 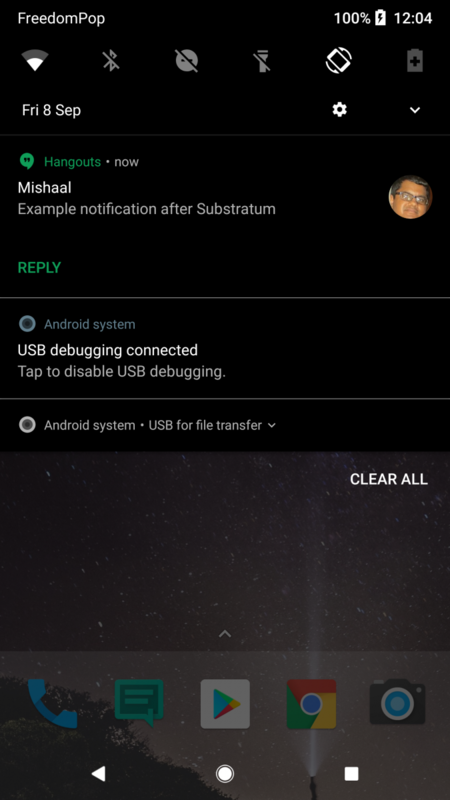 Unfortunately, we were unable to test whether or not this dark theme can actually be enabled on the Google Pixel 2. That’s because we only had access to the phone at our local Verizon store where attaining ADB access to run the requisite commands would be impossible. 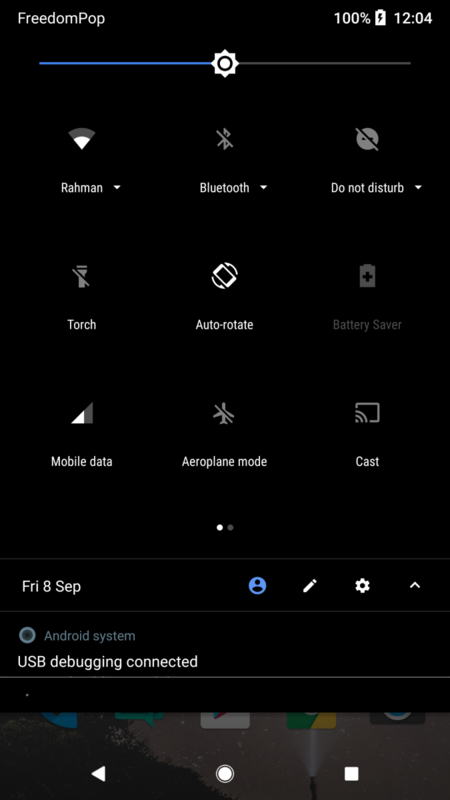 It will also pay attention to your wallpaper: if it’s dark, the app launcher and notification shade will automatically switch to a dark mode to match. This is something we’ll definitely have to test out thoroughly once we receive our Pixel 2 XL next week. What this does is the specifies the colors of the quick settings panel—in this case making it a darker color. We went to the Verizon store and attempted to get the dark theme enabled by setting a dark wallpaper as The Verge mentioned, but we were unsuccessful. Nothing happened. We’re not entirely sure why. I went back to the Verizon Store myself and confirmed that you can get a dark theme for the quick settings panel if you enable one of the wallpapers from the “in the shadows” category.